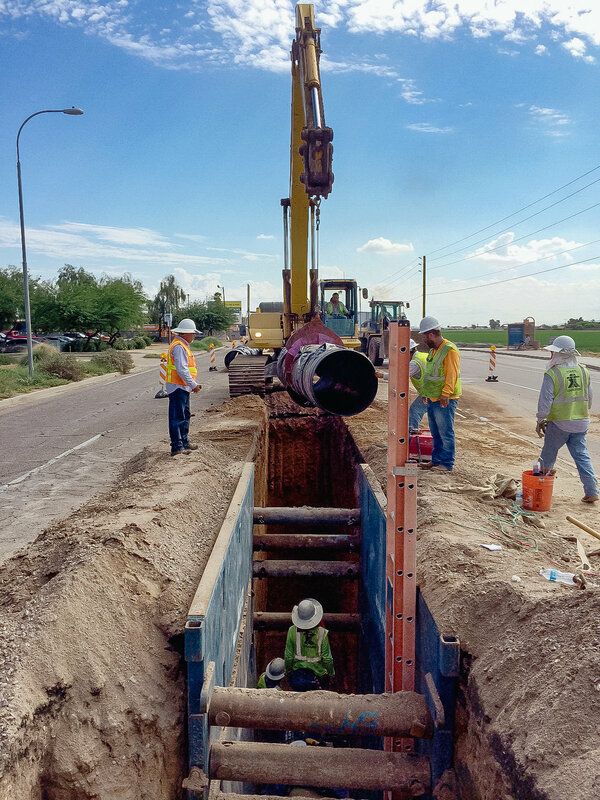 The Southwest Zone 1 Transmission Mains project was an essential portion of the City of Phoenix’s ongoing plan to provide flow redundancy and water transmission upgrades citywide. 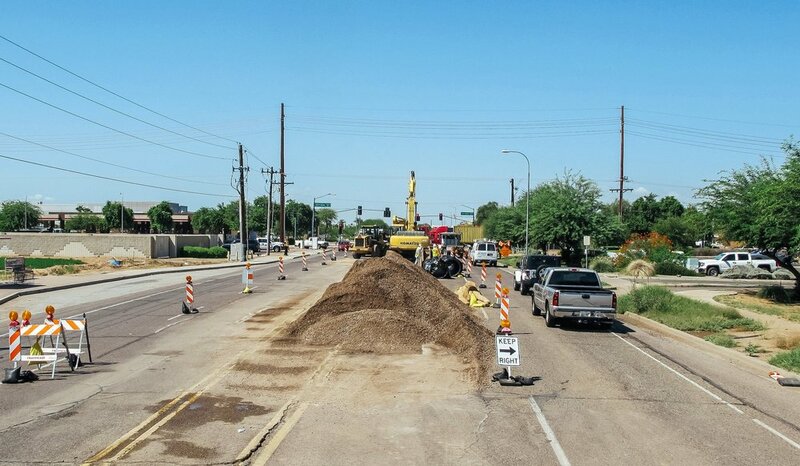 This project contained two separate water main upgrade installations, each located in areas of west Phoenix. 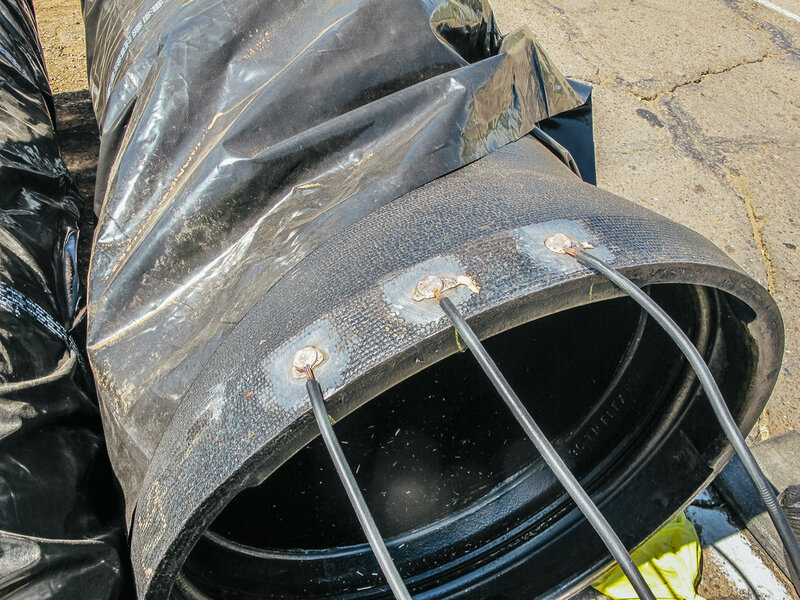 GMP 1: The southern portion of the project was comprised of 22,690 LF of new 36” ductile iron water transmission main located in Buckeye Road, from 35th Avenue to 67th Avenue. 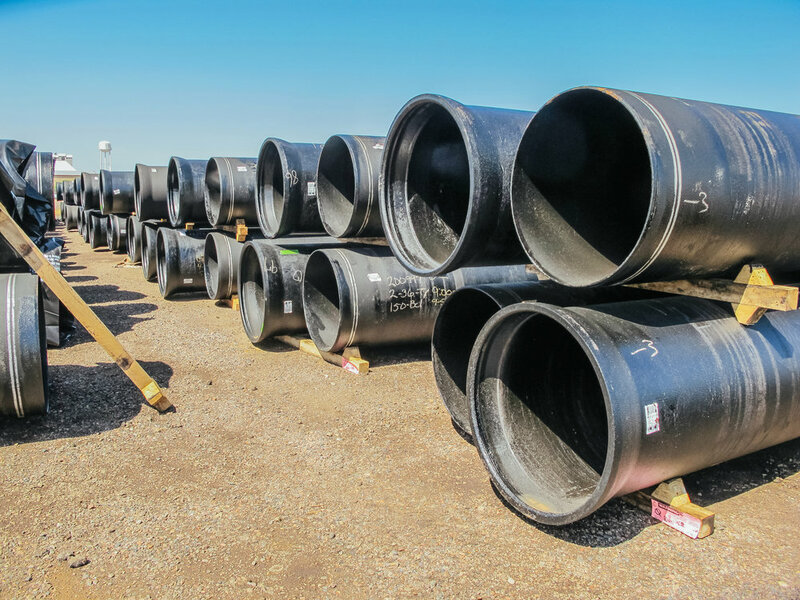 This portion included 8 jack and bore crossings, 5 large valve vaults, more than 20 interconnections to existing water distribution pipelines, and a significant impressed current cathodic pipeline protection system. Buckeye Road is a very heavily traveled roadway in this area of Phoenix and one of the largest challenges was a successful traffic control and business access maintenance program. Nearly 200 distinct private and business entities were coordinated with during construction, including a main Amazon.com Fulfillment Center located near the center of the project. 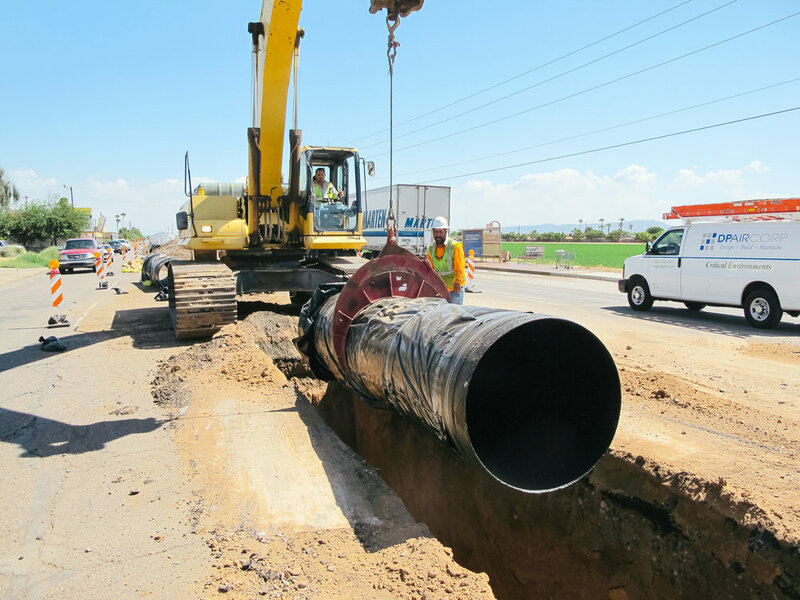 GMP 2: The northern portion of the project included a total of 5,325 LF of new 16” ductile iron water transmission main installed on Indian School Road between the Loop 101 Agua Fria Freeway and 91st Avenue and on 91st Avenue from Camelback Road to Campbell Avenue. 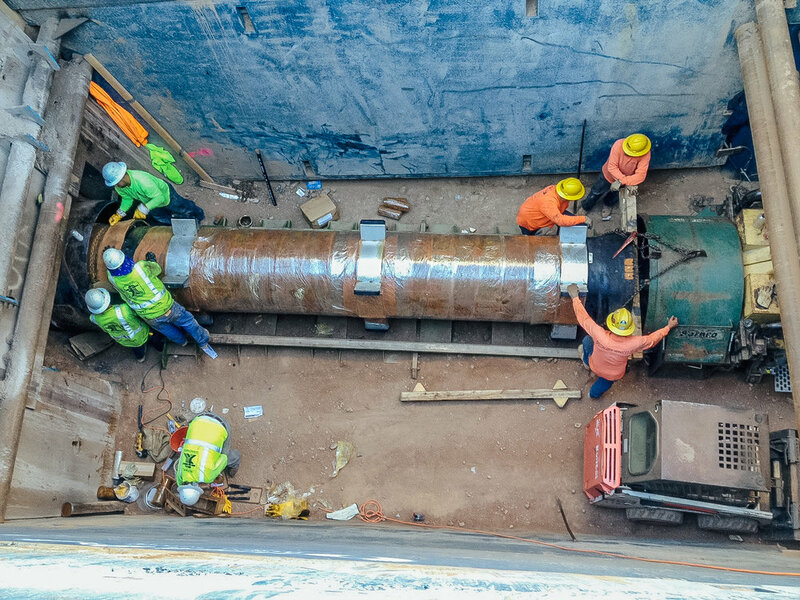 This portion of the project included 4 jack and bore utility crossings, numerous interconnections to the City of Phoenix existing water distribution system, and a critical pipe tie in at an existing City of Phoenix Pressure Reducing Valve (PRV) Station. The northern most area of the project at 91st Avenue and Camelback Road had special construction coordination requirements with the City of Glendale and the numerous special events including the Super Bowl and the NFL Pro Bowl.